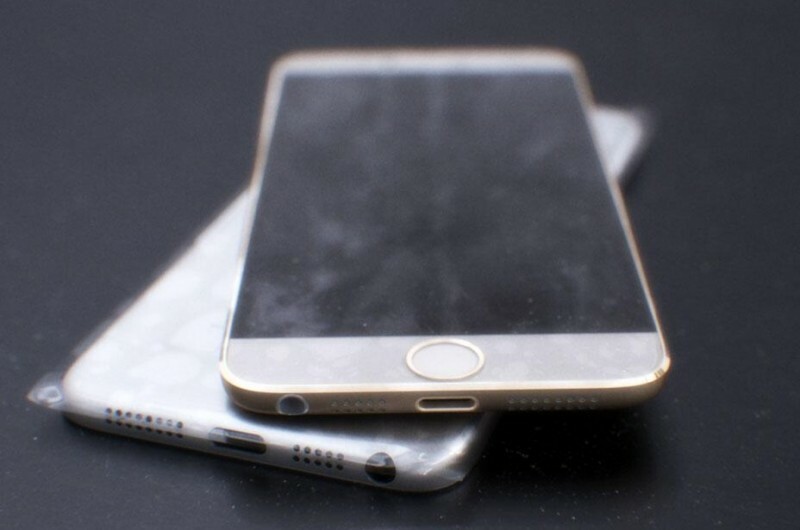 We've heard a few rumors surrounding the iPhone 6 and what the flagship handset may include, but until now we haven't seen any images of the device in the flesh. Today, well-known Apple leaker Sonny Dickson, who has previously leaked numerous, accurate images of iPad and iPhone parts, has posted photos of what seems to be iPhone 6 shells on Twitter. The photos show a large iPhone that is styled in a similar way to Apple's current iPad and iPod Touch lines, including a unibody metal chassis. The bezel on either side of the large display is very slim, and the space above and below has been narrowed so it barely fits the Touch ID home button. Apple is reportedly working on two new iPhones, both with displays larger than the existing iPhone 5S; one model is said to come with a display around 4.7-inches in size, and another around 5.5-inches. Judging by the size of elements around the body that's shown in the leaked images, the model pictured could be the larger of the two. The release of the iPhone 6 is still quite far away, with Apple's usual iPhone-related announcements falling in September. Only time will tell if the iPhone we're looking at here is indeed legitimate, but it does appear to conform with the style used on Apple's other devices.